As the largest indoor entertainment venue outside of Dublin, the INEC, since first opening its doors in 2000 has hosted a selection of the world’s most popular artists including, Hozier, Picture This, Kenny Rogers, David Gray, Morrissey, Snow Patrol ,The Script, Walking on Cars, The Coronas. Vince Gill, Rascal Flatts and Imelda May. The INEC’s flexibility and state-of-the-art technical capabilities enable it to regularly host a selection of large scale theatre and musical productions. Past examples include Dirty Dancing The Musical, Riverdance, Blood Brothers, Joseph and the Amazing Technicolor Dreamcoat, Menopause The Musical, The Matchmaker, The Field and Annie. 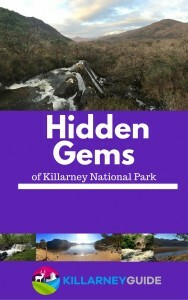 The Killarney Convention Centre is Ireland’s only all-inclusive events complex. The Killarney Convention Centre’s versatility and adaptability allows it to alternate between 4,500sq metres of open plan conference space and a 2,500 tiered seating auditorium. The complex also features over 450 hotel rooms on site; The Gleneagle Hotel: 245 rooms, The Brehon: 124 rooms and The Riverside Apartments: 57 two-bedroom apartments. Additional exhibition and breakout space of varying sizes and capacities is also available throughout the complex. Killarney Convention Centre has the capacity and smooth adaptability to host a wide range of events such as conferences, exhibitions, concerts, banquets, product launches and indoor sporting events.